Add some Mainz or Dortmund players to your Official Fantasy Bundesliga Team by clicking here! 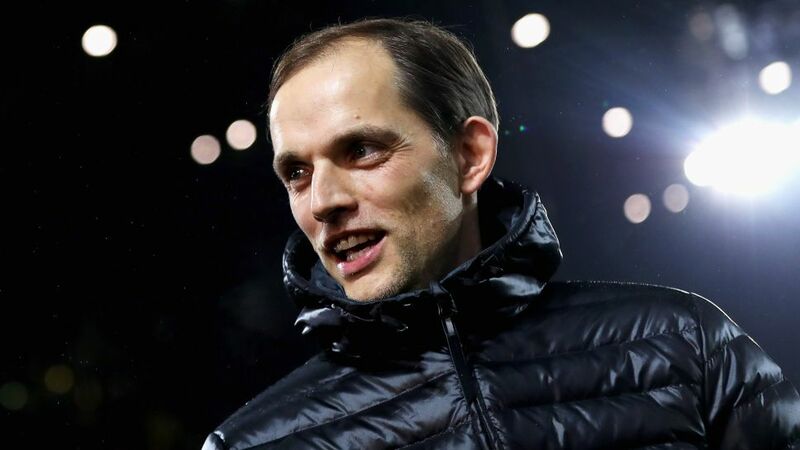 Born on 29 August 1973, Tuchel's first station on the road to becoming a professional footballer saw him join the youth team at local outfit TSV Krumbach. He later moved to FC Augsburg - at the time a fourth-tier side - before signing with Stuttgarter Kickers in 1992. After making just eight appearances in the second division, he dropped down a tier to join SSV Ulm for whom he would turn out 69 times, before hanging up his boots due to a chronic cartilage injury. In the coaching tenderfoot's debut season in the Bundesliga, Tuchel oversaw a respectable ninth-placed finish. He then kicked off his second campaign at the helm with seven successive wins, including a 2-1 victory away to record German champions Bayern Munich. Mainz earned a shot at the UEFA Europa League for the first time in the club's history after finishing fifth in 2011/12, only to be beaten over two legs by Romanian outfit Gaz Metan Medias in the third qualifying round. During his time at Mainz, Tuchel earned a reputation as one of German football's most tactically astute young coaches, regularly switching up formations according to the task in hand, whilst always staying faithful to his own unique fundamentals. "There's definitely a style that’s been attributed to me, that we brought to the table at Mainz: pace going forward and attack-minded football,” he told German newspaper die Zeit. "I prefer certain qualities, an active playing style, bold defending and pacy play in attack." It goes without saying, Tuchel is the most successful coach in Mainz history. Indeed, the club averaged more points per game (1.41) than the man who took them into the Bundesliga for the very first time back in 2005/06 - Jürgen Klopp (1.13) - as well as his successor Kasper Hjulmand (1.05), who lasted less than a year in the job. The 05ers also chalked up more wins than losses during his five-year stay (W65, L61), whilst scoring 229 goals in 170 outings in Germany's top flight. After approaching a year on the sidelines, news broke on 19 April 2015 that Tuchel had been appointed Klopp's successor at Dortmund on a three-year deal. The careers of the two strategists overlapped for a time at Mainz, Klopp having been in charge of the first team during Tuchel's time with the U-19s, before vacating the hot seat to join BVB in 2008 - ending an 18-year association with the club as player and coach. Following a disappointing seventh place finish in Klopp's final season, Dortmund bounced back in spectacular style during Tuchel's debut campaign. In the Bundesliga, they finished as runners-up after winning 24 games, losing just four and scoring a league-high 82 goals. His side impressed in the Europa League too, scoring freely as they beat Porto and Tottenham in the knockout stages before succumbing to Liverpool in the last eight. Dortmund would end a thrilling season without silverware, however, as they went down to a cruel defeat on penalties against Bayern in the DFB Cup final. In response, Tuchel continued to get his team to play some of the most pleasing football in Europe as popular defender Marc Bartra, European champion Raphael Guerreiro and explosive forward Ousmane Dembele all got a taste of the Bundesliga. In the Champions League, Dortmund topped their group ahead of title holders Real Madrid - beating Legia Warsaw 8-4 along the way - before losing to Monaco in the last eight. Tuchel ensured a return to the main European competition by sealing a top-four finish in the Bundeslia and a third DFB Cup final in a row to end the season proved that he had well and truly brought Die Schwarzgelben back to the top table. For more Borussia Dortmund news click here!